1. start menu -> Control Panel -> Add/Remove Programs. 2. Find the following "Messenger Plus! for Skype" (61.64MB) and hit the Change/Remove button. 3. Choose the "Remove All" option from the blow Uninstaller. 4. 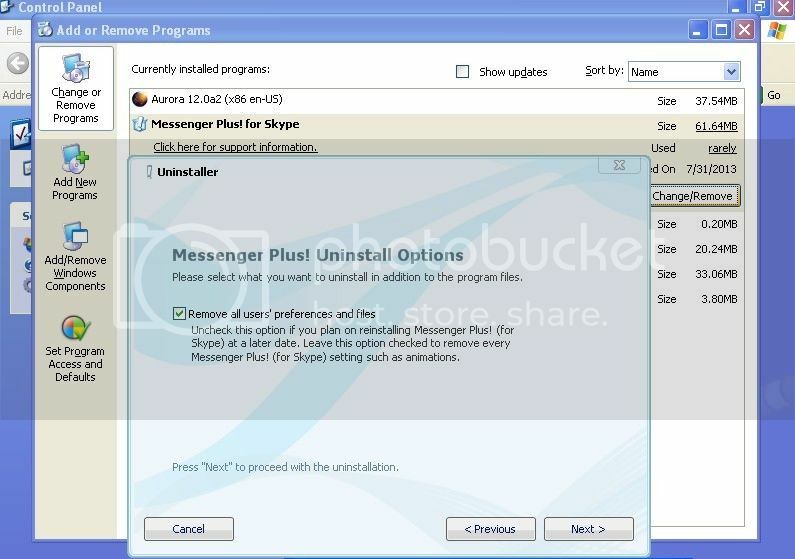 To fully remove Messenger Plus for Skype, you DO check the "Remove all users' preferrences and files" and click Next >. 5. Please wait while the uninstallation is on progress. 6. Click OK on the following "Messenger Plus! for Skype". 7. Close "Thank you for using Messenger Plus!" page. 8. You may be having been annoyed with the following "Messenger Plus! 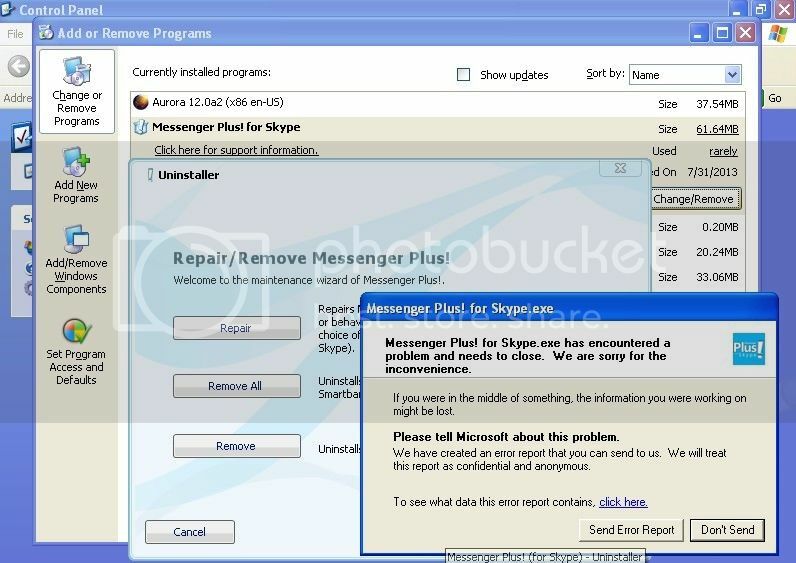 for Skype.exe" error (0xc000005); thus you should consider removing the Skype™6.2 so that you can completely remove Messenger Plus for Skype. 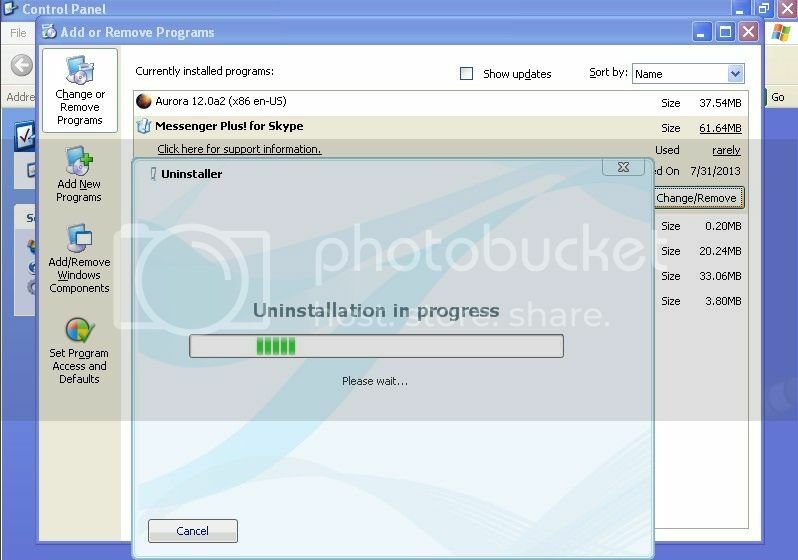 NOTE Watch the below video for more tips on uninstalling RealPlayer. 1. Run Firefox. 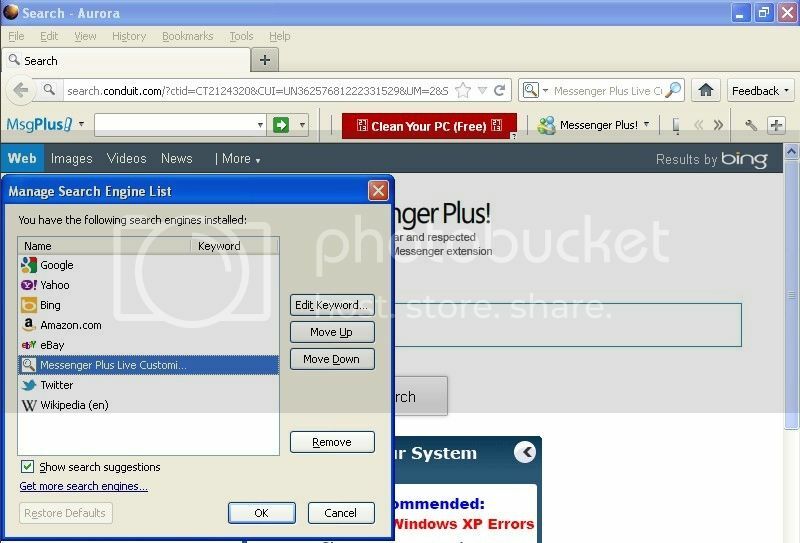 Remove the following Messenger Plus Live Customized We Search from "Manage Search Engines...". 2. Click Tools, choose Add-ons, find the below Messenger Plus Live 10.16.70.5 and launch Remove option. 3. Check the "Remove the toolbar" option and click OK on the following "uninstall toolbar". 4. 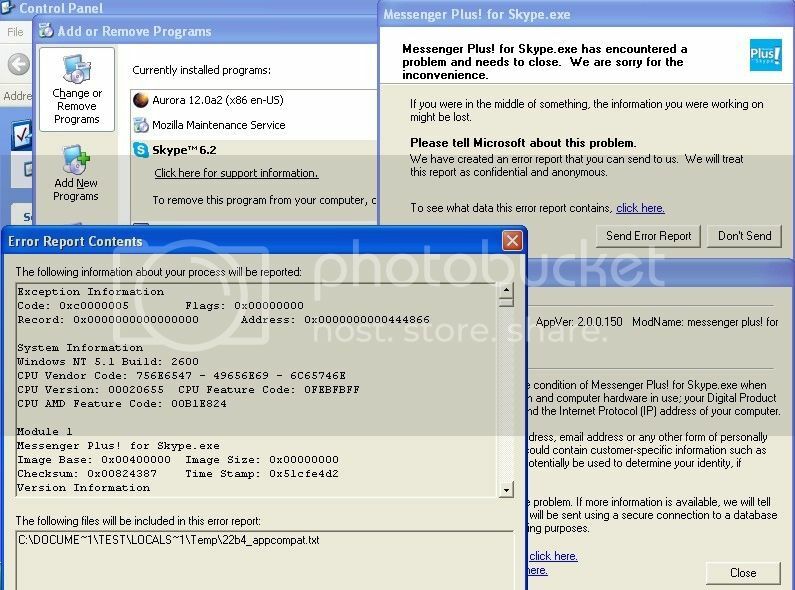 Ya can close "MessengerPlus! Community Toolbar - Uninstall" page below immediately. Or re-enter Tools and select Options and then, ya manually remove "http-search-conduit-com/?ctid=CT2124320&CUI=UN36257681222331529&UM=2&SearchSource=13" in the Home Page section. Then you restart your Mozilla web browser. 5. 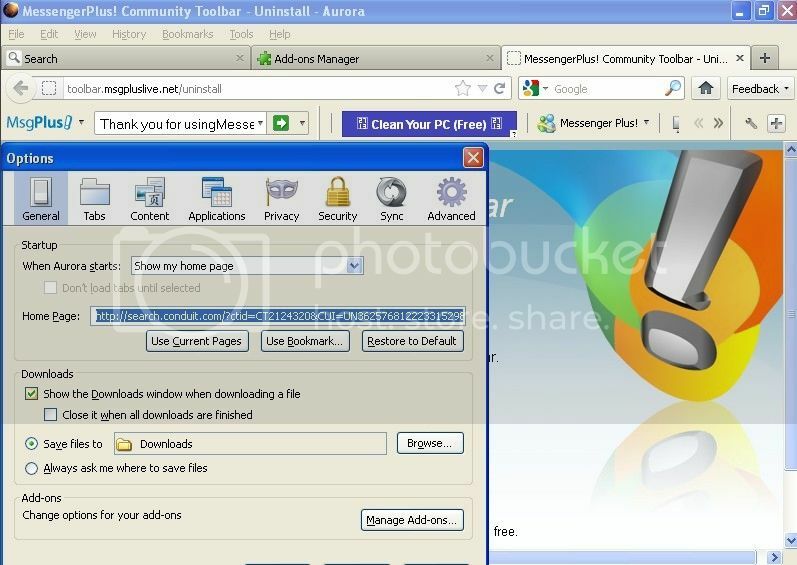 To cleanly remove Messenger Plus (toolbar), you may do not wanna use its recommendations, RealPlayer, Google Chrome and thus uninstall them at a later time.